The Pleasant House pub at 2119 South Halsted Street in Pilsen was on my must visit list on my latest trip back to Chicago. I was a great fan of the Pleasant House bakery in Bridgeport and when I read last year in the Chicago Tribune that the husband and wife team behind that place Art and Chelsea Jackson were relocating to Pilsen and opening a pub, well I just had to visit to find out more. To get to the pub it is almost the same trip, I rode the Orange line from the Loop to Halsted, I just jumped on the train that says Midway. Once at the station walk out back towards the city to Halstead Street, turn left and walk over the river past the Helicopter ride place, and about 5-10 mins later you will see the pub. It was pretty easy to find! 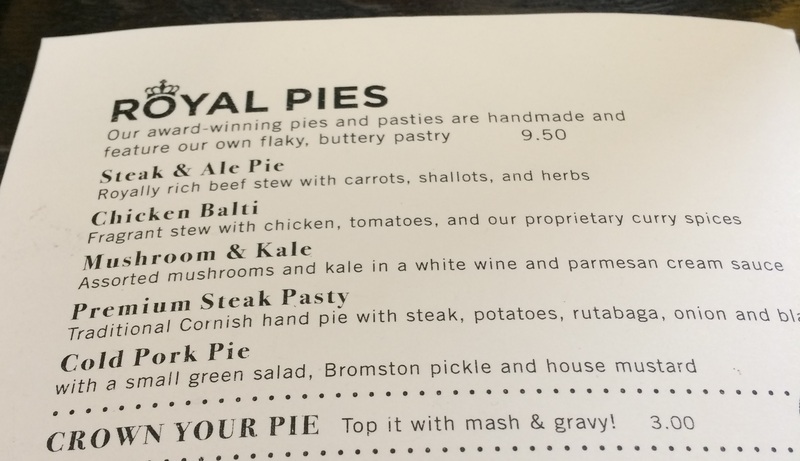 I think that I have pretty much tried all of their offerings over the intervening years, my favourite was, and still is, their Steak and Ale pie which is as they say a ‘Royally Rich’ pie. If I was forced to choose a second fave then it would be the Chicken Balti just because the Curry filled pie is fast becoming a classic back in England and the Pleasant House people have made a particularly tasty version. I once traded in a handful of bottles of Henderson’s Relish, a classic British condiment from Sheffield, for a couple of platefuls of pies for myself and my mother on one trip. I am not sure who got the best deal? I like to think that it was us. I was pretty tempted to have another one on this visit, just for old times sake, but I had other ideas to fill up my belly! 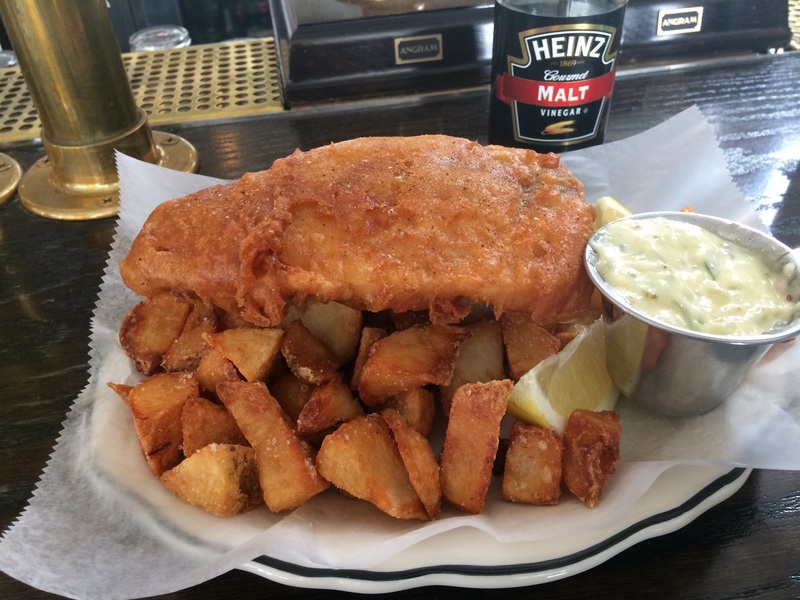 Once I knew that I was going to be in Chicago on a Friday, I had it in my mind to seek out the Pub for Fish and Chips, a dish that they only serve on Friday. Fortuitous? or perfect timing? either way it was a stoke of luck and of genius on this MyFoodHunt’s behalf. They serve a really excellent plate of Fish and Chips here at the Pleasant House pub, it did remind me of home, and it was an equal of many of my favorite places to eat this meal back in Blighty. The chips are good and much better than the sort of ‘fries’ you get in the states, I really liked them and they are probably some of the best ‘chips’ I have had, however they are just not quite ‘chip shop chips’ but a really jolly good effort. The Star, just as it should be, is the battered fish, I loved the crispy and crunchy batter, at first it looks a bit more brown than perfectly golden, but that is probably due to the beer that they add to the mix. Once you cut inside you are treated to some lovely juicy white fish, sweet and meaty are my overriding memories. It was actually almost spot on and they should be jolly proud of how good it is. So how good are the Fish and Chips at the Pleasant House pub? 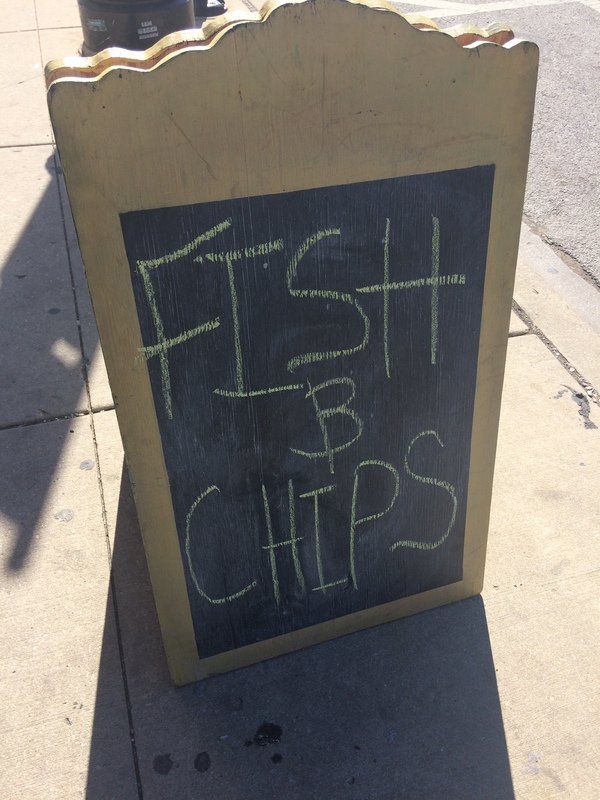 well, they are only one of two, that I have found, that I would tell you to seek out in the states to get a true taste of British Fish and chips. That might tell you something, so please make the effort to try them out! They certainly were keeping up the tradition of a true British pub with a pretty eclectic beer list up on the chalkboard and on the pumps on the bar. I found contenders from Scotland, Wales and from Manchester amongst the beers vying for my attention, all worthy companions for my meal. 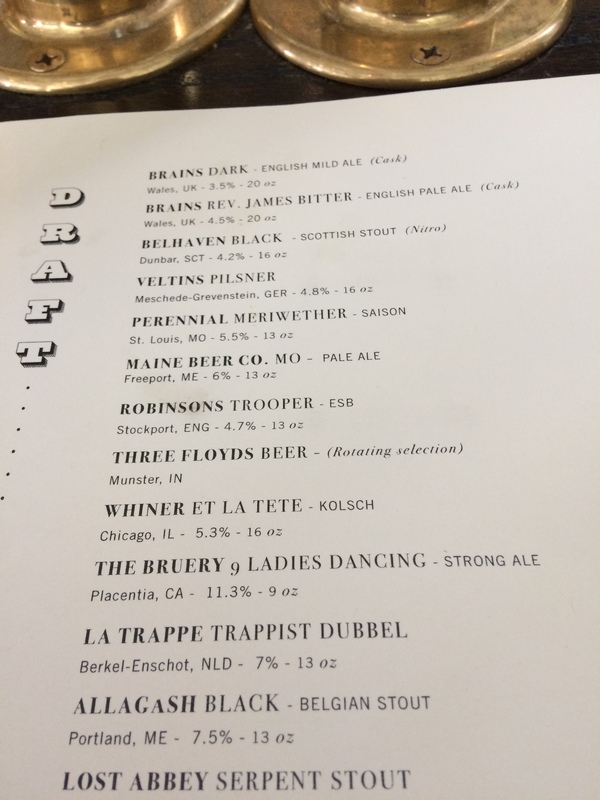 As I read through the list I just had to message my cousin Caroline when I saw a beer from Robinson’s brewery in Stockport Manchester (her home town), she messaged back to remind me that they still deliver the beer around the town on horse drawn dray’s. Wow! that is quite something in this day and age and a great tradition. 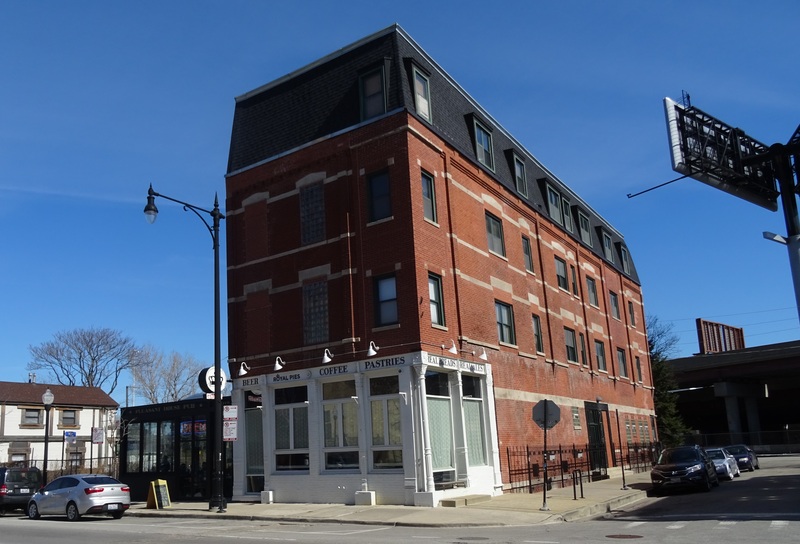 It is just like the sort of traditional values that the people at Pleasant House are trying to keep alive and celebrate with their work here in Chicago. I love this kind of stuff! 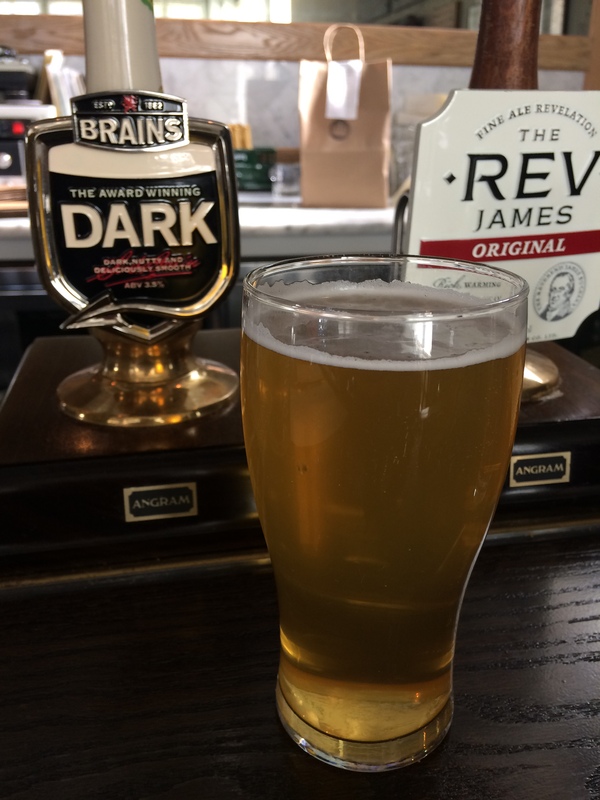 I also saw two beers from Brains Brewery in Wales which brought back happy memories of trips to Cardiff and Swansea back in my college days when I shared a house with three rugby and beer loving Welsh students. If I still lived in Chicago I would be over at the Pleasant House Pub at least once a week I reckon, just for the beer alone! I ended up drinking one of the beers from the Pleasant peoples own brewery Whiner. It was the “Et La Tete” which I chose because firstly it was a local beer and secondly because it was a Kolsch which is one of my favoured easy drinking styles. 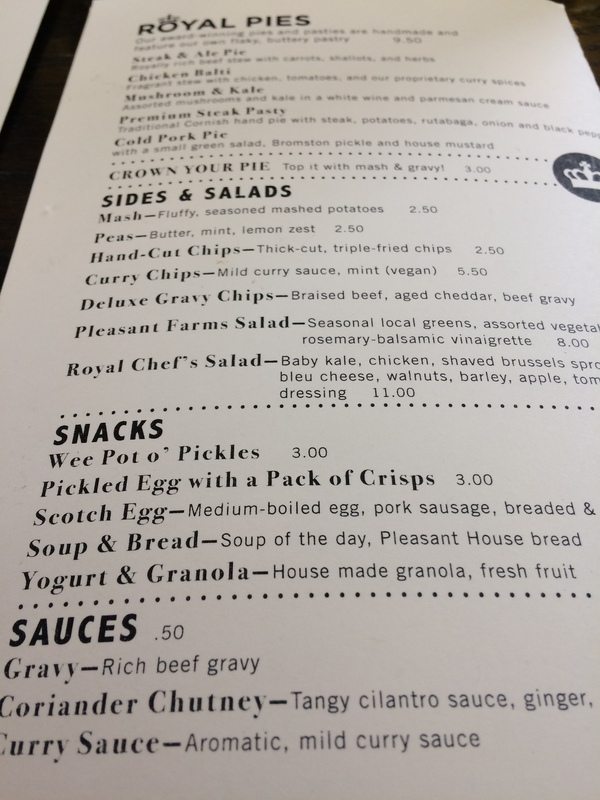 They have some really great food on offer at the Pleasant House pub, on Friday as I have shown you can treat yourself with some amazing Fish and Chip. If you fancy a proper pie then they have all of their Royal Pies on offer, and you really cannot go wrong which ever one you choose. 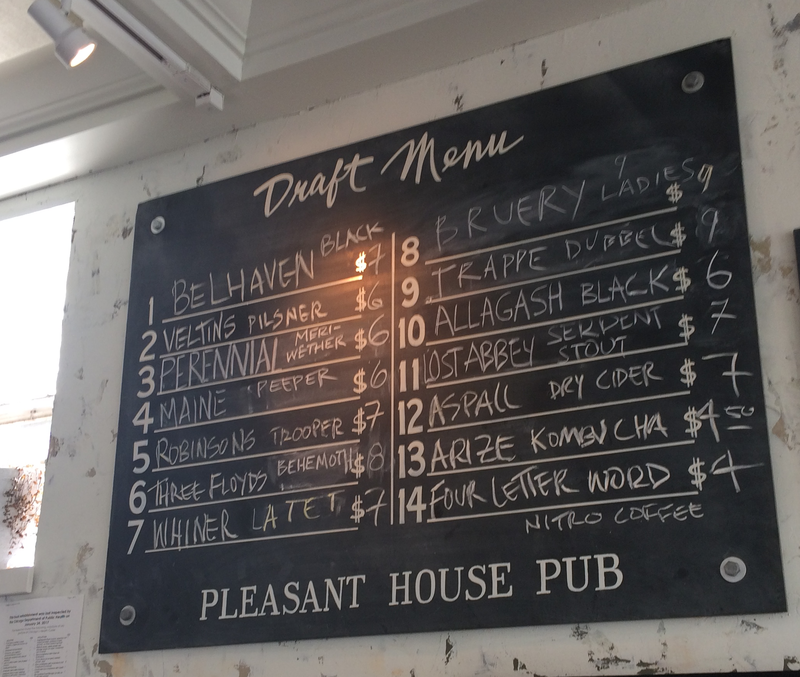 “Pleasant House Pub welcomes you to join us at our new public house. Our menu features specialty beer and cocktails, savory meat and veg Royal Pies, delicious British-inspired food, locally roasted coffee, and homemade pastries. We’re also known for dabbling in fun, so you’ll find plenty of that, too. Whether it’s 10 a.m. or midnight, we hope you make yourself at home. Drink, eat, work, hang out.